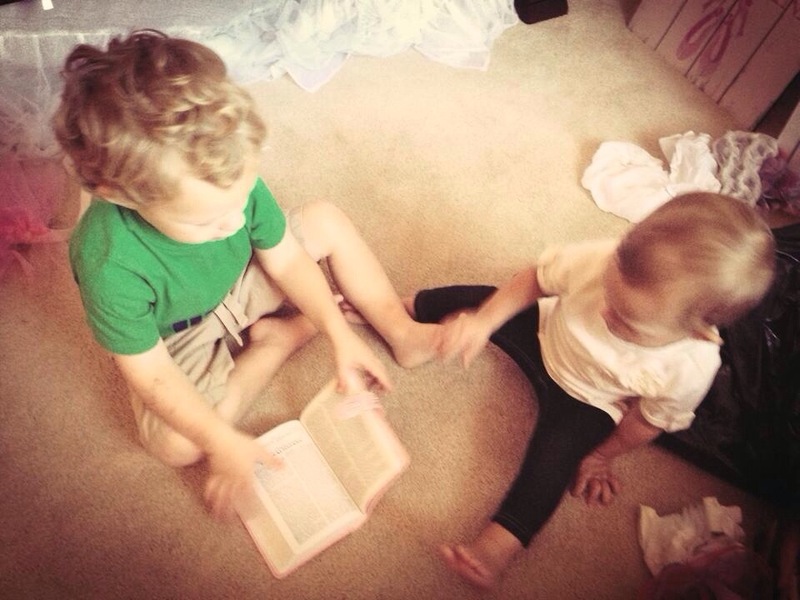 Then the sweetest was he told me he wanted to read the Bible to Gracie. And so it read like this, “Jesus went over the river and though the woods to his grandmas house. And the snow bit his nose.” I was dying from the cuteness. We’ve been singing that song before bed. I’m over here laughing out loud. This boy is so sweet!